Summer is here! I’m sure most programs have several special events and activities planned during these summer months. As a classroom teacher, I remember incorporating some of my favorite activities and field trips during this time. I loved utilizing the outdoors as an extension of my classroom. Children learning through their experiences and building knowledge based on their interactions with nature brought me such joy as an educator. Plus, we were outdoors most of the time. We were enjoying the sunshine while learning new skills, interacting with each other, and building relationships! Summertime is a great opportunity to enhance children’s learning and development—which means high-quality care should not stop. 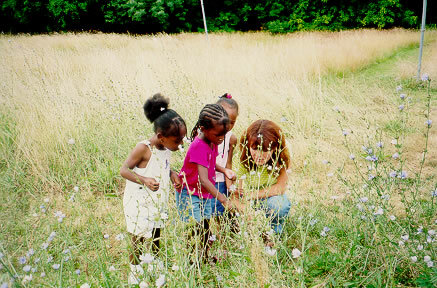 In fact, summer activities provide many hands-on learning opportunities for early childhood programs. In order to maintain high-quality care and education during the summer months, teachers must continue to focus on best practices. Lesson planning is a major component of best practice. The activities on your lesson plans should be fun and hands-on, but they should also be educational and based on the interests of the children. The activities should be planned according to the developmental levels of your children and challenge them to a higher level of thinking. These activities should promote problem-solving skills both socially and academically. They should help children build upon their previous experiences and comprehension while at the same time encouraging them to create new knowledge. These activities should be intentional. As you continue to sustain high-quality care and education during the summer months, please remember how important engagement is with the children! The activities you are planning should be built around meaningful interactions with the children. Teachers should see themselves as a valuable teaching tool, not just as a lifeguard or police officer patrolling the playground. Educators should be present and engaging with children to scaffold their learning by making comments and asking open-ended questions. For example, let’s take a closer look at water play. As children engage with water play they are enhancing many cognitive skills involving math and science. When a teacher asks, “I wonder how many cups it will take to fill that bucket?” they are helping that child enhance counting skills and explore measurement. High-quality care and education is very important for children—during all seasons! Educators should use the summer months to continue to facilitate and promote learning. Though it is tempting to relax and take a break in the nice weather, the quality of your program or quality of your teaching should not decrease because it’s summertime. This entry was posted in Best Practice, learning through play and tagged avoid summer slide, intentional teaching, outdoor play on June 18, 2015 by Tracy Schnirring.